Rumors are circulating once again that Apple is looking into the possibility of launching an iOS-based wristwatch. Citing anonymous sources at Apple's offices in Cupertino, The New York Times reports that Apple is experimenting with a wrist watch that would be powered by iOS. This potential move by the company has been rumored ever since wristwatch bands appeared for the last generation of the iPod Nano, and occasionally word leaks out that Apple is playing around with the concept. Apple of course declines to comment on the rumors, but it does appear the technology is there and that it could fill in some holes in Apple's technology. "You can certainly make it wrap around a cylindrical object and that could be someone's wrist," Pete Bocko, the chief technology officer for Corning Glass Technologies, said for the report. "Right now, if I tried to make something that looked like a watch, that could be done using this flexible glass." However, Bocko isn't saying it would be easy. "The human body moves in unpredictable ways,it's one of the toughest mechanical challenges." Bruce Tognazzini, founder of Apple's Human Interface Group, is no longer with the company, but you have to throw a suspicious eye his way that he may know something. 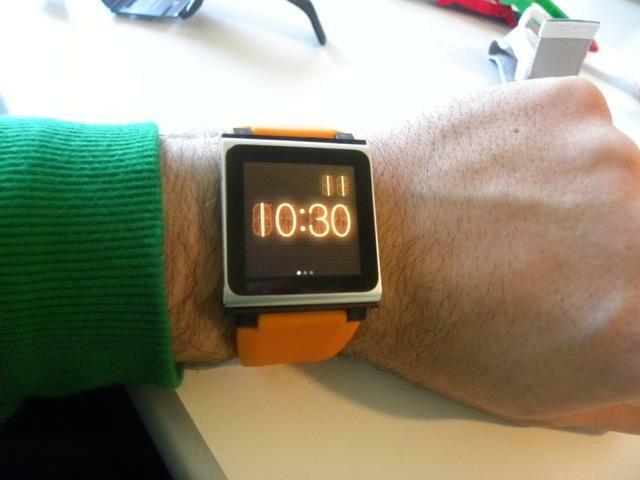 Just last week he published a lengthy post on his blog about what an iWatch could mean for the company and consumers. He sees it as filling an important gap in Apple's ecosystem that would allow consumers to control all of their other devices purchased from the company right on their wrist. And, enticingly, he also speculated on how Apple could integrate NFC and Passbook into the watch, something that was also mentioned in the report from the Times. Apple hasn't introduced an entirely new product since the iPad in 2010, could wearable technology be where Apple is casting its research and development next? The evidence certainly seems to be there that Apple is at least exploring the possibility of wearable technology, but that doesn't always mean it will definitely hit retail shelves. From the sounds of it, though, an iWatch would definitely fill in some gaps in the overall Apple product line.